PepsiCo,the multinational food, snack, and beverage corporation, has ordered 100 Tesla trucks for use on roads of North America. 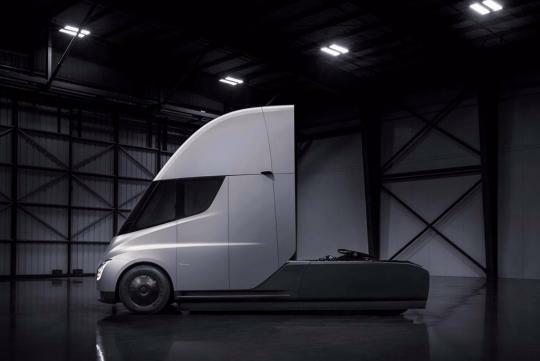 As reported by Reuters, the new electric trucks should be able to help cut the company's greenhouse gas emissions of their supply chain by at least 20 percent until 2030. PepsiCo is said to have over 10,000 trucks and is in the midst of trying to find suitable routes for the new Tesla trucks. It is still unclear the trucks are better for hauling shorter shipments of heavy drinks, or lighter loads such as snacks on longer routes. The trucks have a range of 500km to 800km. Tesla is believed to have garnered more than 1,200 orders for the truck with companies like Wal-Mart and J.B. Hunt as part of their customers.